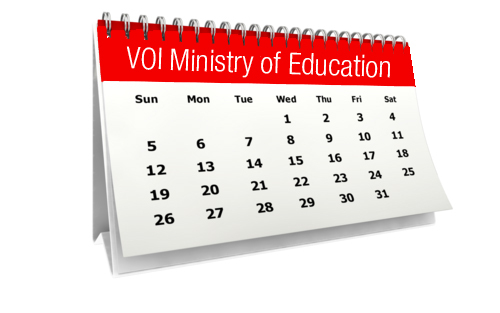 VETI’s spring quarter begins on the week of April 15, 2019. 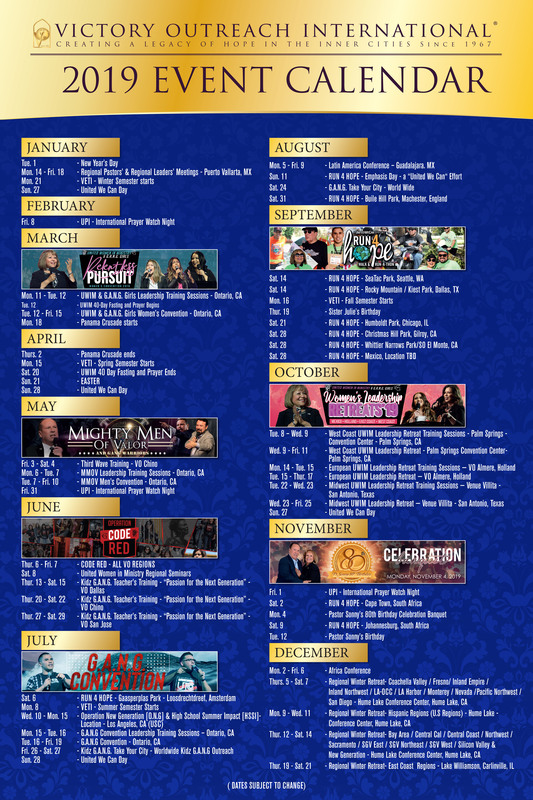 To view all of the courses available click on the “Course List” tab above or here. 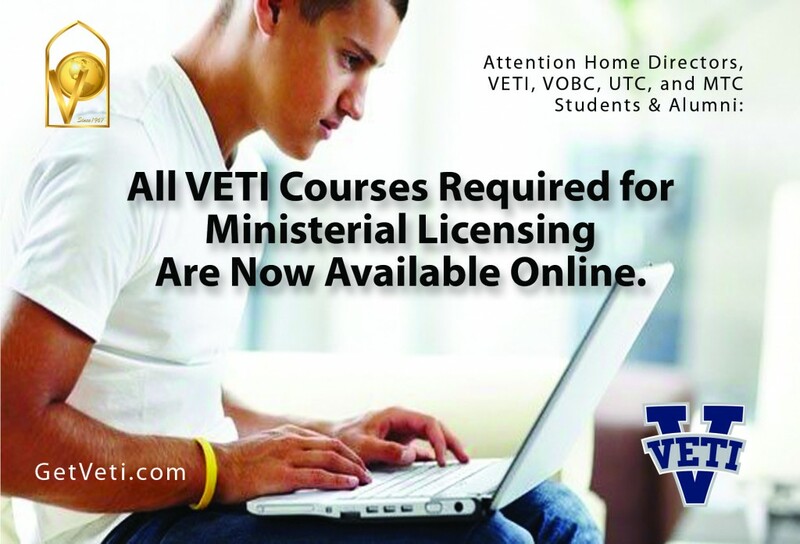 For questions about classes offered in your local extension please contact your local V.E.T.I. Coordinator. Receive VETI text updates via SMS by texting “follow vetionline” to 40404 in the U.S. Click here to view previous updates. 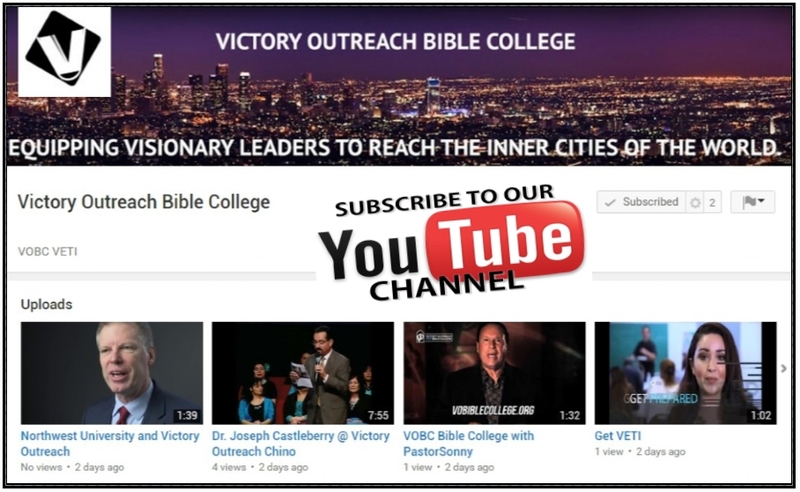 Click here for Victory Outreach Bible College. Follow us on Facebook and Twitter and Get VETI text updates via SMS by texting “follow vetionline” to 40404 in the U.S.
Get Started with your online class (Canvas). How to prepare for a live online course. Access your Online course on your smartphone! EARN a Bachelor in Christian Ministry degree in a little as 18 months. TAKE classes from anywhere in the world. All courses are streamed LIVE worldwide. 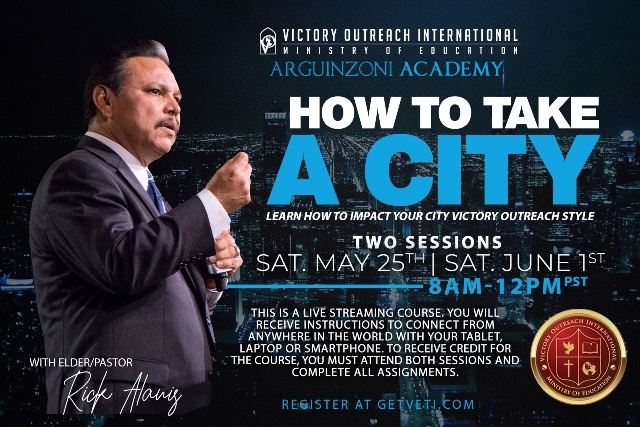 LEARN from professors with Masters and Doctorate degrees. TRANSFER your units, after graduation, to one of our partnering schools to earn a nationally accredited Master’s degree. CHOOSE a convenient payment plan, as low as $110. every 2 weeks, for the tuition of $3990. 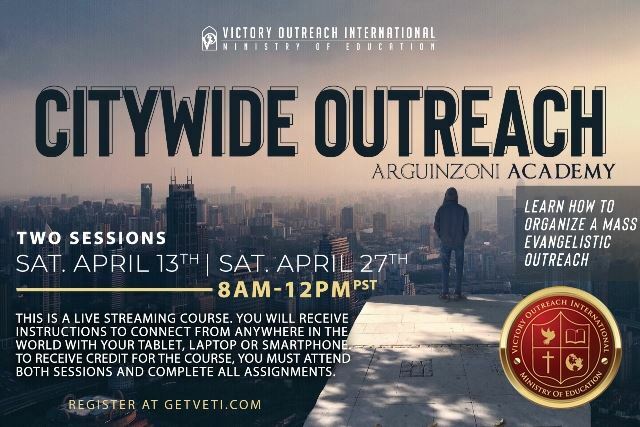 VETI graduates can take the next step and enroll in Victory Outreach Bible College (VOBC) see below, or transfer into Vanguard University. 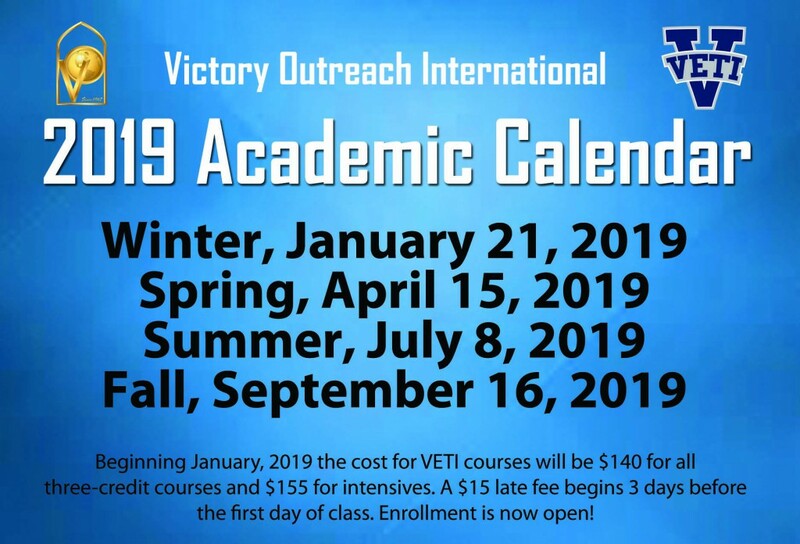 Interested in VETI or VOBC?